In July, the entrepreneur Elon Musk created a bit of a dust-up when he said artificial intelligence is a “fundamental risk to human civilization.” Pretty soon, pundits of varying views were weighing in. Some thought Musk was being an alarmist; others agreed with him. Still others said statements like Musk’s come from a misunderstanding and misplaced fear of artificial intelligence. Opinions about artificial intelligence abound, but one thing is clear: It is making ever further advances into our daily lives. It is in our cars, cellphones, schools, banks, hospitals and homes. Musk is not alone in his concern. People far beyond the tech sector have asked about the moral, ethical and religious implications of advancing artificial intelligence. What, if anything, might artificial intelligence reveal to us about the act of creation, the nature of consciousness and our role in the universe? Is there anything distinctive about the human mind that cannot be duplicated in artificial intelligence or created by man? This edition of ReligionLink examines what issues arise as artificial intelligence becomes less distinguishable from human intelligence and asks how religious notions of humanity are evolving to address artificial intelligence. Artificial intelligence refers to the development of machines that can think like human beings. AI is rapidly developing in areas of visual perception, speech recognition, decision-making and translation between languages. Wikipedia has a comprehensive entry on AI. Deep learning generally refers to computer software that attempts to mimic the activity of the neocortex, the part of the brain where thinking occurs. The software can recognize patterns in digital representations of sounds, images and other data. It is used in IBM’s Watson computer and in Microsoft’s Bing and cellphones. The singularity is the idea that, at some point, the rate of technological development will overtake humanity and alter civilization as we know it. Leading futurists such as Vernor Vinge and Ray Kurzweil predict this time will come soon and will be ushered in by advances such as artificial intelligence. Transhumanism is the futuristic philosophy that humans, as they exist now, are not in their final state. In other words, humanity is in an early stage in its evolution, which may include interfaces with technology in the future. Transhumanism is a philosophy concerned with the ethical use of technology in ways that can advance “human flourishing.” More about transhumanism can be found here, including an explanation of the relationship between transhumanism and religion. Read “Can a Robot Join the Faith?” by Avi Steinberg for the New Yorker, Nov. 13, 2017. The takeaway: The author asks the philosophical question — Can artificial intelligence become so human as to have a need for religion? Read “As Artificial Intelligence Advances, What are it’s Religious Implications?” by Ellen Duffer for Religion & Politics, Aug. 29, 2017. Read “From Isaac Asimov to Aimee Mann, ‘Robophobia’ Plagues Humans” by The Associated Press, Aug. 16, 2017. Read “As artificial intelligence grows, so do perceived threats to human uniqueness” by Rosalie Chan for Religion News Service, Aug. 1, 2017. Read “A Christian View of Artificial Intelligence” by Cody Volkers for Ecclesiam, a Protestant journal, March 1, 2017. The takeaway: There are “right” uses of AI that can be determined through a reading of the Bible. Read “Does ‘The Image of God’ Extend to Robots, Too?,” an essay by Douglas Estes for Christianity Today, Feb. 27, 2017. The takeaway: It is good for Christians to create as God created, but because humans are fallen, they are flawed and their creations will be flawed, too. Read “Can Machines Become Moral?” by Don Howard for Big Questions Online, Oct. 23, 2016. Read “What Does the Rise of Artificial Intelligence Mean for Christian Theology?” by Jesse Carey for Relevant, an evangelical Christian magazine, March 10, 2016. Read “When Superintelligent AI Arrives, Will Religions Try to Convert It?” by Zoltan Istvan for Gizmodo, Feb. 4, 2015. Read “The Morality of Artificial Intelligence and the Three Laws of Transhumanism” by Zoltan Istvan for The Huffington Post, Oct. 2, 2014. Read “Are you ready for robot prayer quorums?” by Adam Soclof for The Times of Israel, June 13, 2014. Read “How Judaism predicted the first humanoid robot” by Mark Goldfeder for CNN Belief Blog, June 12, 2014. Watch “Ethics of Human Enhancement,” a segment of Religion & Ethics NewsWeekly that aired Aug. 20, 2010. There is also an extended interview with Ray Kurzweil and another with Christian Brugger that appeared on the Religion & Ethics NewsWeekly website on the same day. Read “The Great A.I. Awakening” by Gideon Lewis-Kraus for The New York Times Magazine, Dec. 14, 2016. Read “Why watching Westworld’s robots should make us question ourselves” by Tony Prescott for The Conversation, Oct. 4, 2016. Read “Artificial Intelligence: Gods, Egos and Ex Machina,” a Martin Robbins essay inspired by the 2015 film Ex Machina and published Jan. 26, 2016, by The Guardian. The magazine Nautilus features many articles about artificial intelligence. Read “The Coming Technological Singularity: How to Survive in the Post-Human Era,” a 1993 paper by futurist, science fiction author and former science professor Vernor Vinge that is considered a touchstone in thinking about AI. An open letter cautioning against potential “pitfalls” of AI development has been signed by more than 8,000 people, including Musk, scientist Stephen Hawking and Yann LeCun, head of Facebook’s Artificial Intelligence Laboratory. 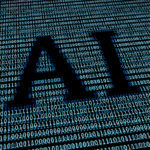 The Association for the Advancement of Artificial Intelligence is a science-oriented nonprofit focused on AI research. Subbarao Kambhampati is the current president and is a professor at Arizona State University. The Centre for the Study of Existential Risk is a Cambridge University think tank that focuses on the prevention of the end of humanity and the world. Artificial intelligence is one of its perceived potential risks. Seán Ó hÉigeartaigh is executive director. Dialogue on Science, Ethics and Religion (DoSER) at the American Association for the Advancement of Science focuses on the religious and moral questions science raises. DoSER runs a science for religion reporters program, overseen by Christine Scheller, 202-326-7075, cschelle@aaas.org. The Future of Life Institute is a think tank and research institute focused on safe and ethical AI. The Leverhulme Centre for the Future of Intelligence is a U.K.-based think tank concerned with the impact of machine intelligence. It maintains a list of its international scholars and researchers. Machine Intelligence Research Institute (formerly the Singularity Institute for Artificial Intelligence) is a nonprofit that studies and researches safety issues relating to AI and long-term outcomes and issues related to AI in Berkeley, Calif. Nate Soares is executive director. Judaism and Science is a blog and website maintained by Roger Price, a Reform Jew, in the Chicago area. It has examined what Judaism has to say about AI. The Cambridge Muslim College will host a daylong conference on consciousness on Sept. 8, 2017, at Cambridge University in Cambridge, England. “Religion, Society and the Science of Life” was a four-day conference held July 19-22, 2017, by the Ian Ramsey Centre for Science and Religion in Oxford, England, where several presentations by scholars concerned the implications of AI. “Power and Limits of Artificial Intelligence” was a two-day conference held by the Pontifical Academy of Sciences in 2016 that brought together scientists, ethicists and others from around the world to discuss the developments and dangers of artificial intelligence. Many of the speakers’ presentations were recorded and can be viewed on the Pontifical Academy’s website. “Reality, Robots and Religion” was a three-day special course held Sept. 16-18, 2016, at the Faraday Institute for Science and Religion at St. Edward’s College in Cambridge, England. The Center for Science and Religion at Samford University held a conference called “Transhumanism and the Church” and posted video of some sessions. Werner Arber is a Nobel Prize-winning microbiologist and president of the Vatican’s Pontifical Academy of Sciences. In 2016, the academy held a conference titled “Power and Limits of Artificial Intelligence” with professionals working in AI. He has said it is important for the Vatican “to have a voice” in the development of AI. Contact via the Pontifical Academy of Sciences. He is a Protestant and is based in Basel, Switzerland. Contact: werner.arber@unibas.ch, +39 06 698 83451. Stuart Armstrong is a fellow in AI and machine learning at the Future of Humanity Institute at Oxford University in Oxford, England. He is the author of Smarter Than Us: The Rise of Machine Intelligence, which the Machine Intelligence Research Institute recommends as a good introduction to AI for the layperson. Media requests must be made through the Future of Humanity Institute by email. Contact: fhipa@philosophy.ox.ac.uk, +44 (0) 1865 286800. Michele Baker is a senior content strategist at the Digital Marketing Bureau, a marketing agency that focuses on the tech industry, in Newdigate, Dorking, England. She specializes in artificial intelligence marketing and wrote an article for the company’s website about the disruption AI may cause for religion. She also blogs about AI at Digital Voodoo. She can be contacted via Twitter. Nick Bostrom is director of the Future of Humanity Institute at Oxford University in Oxford, England. He is considered one of the world’s leading thinkers about the future role and impact of AI on humanity. He is the author of Superintelligence: Paths, Dangers, Strategies, which the Machine Intelligence Research Institute recommends as a good introduction to AI for the layperson. Media requests must be made through the Future of Humanity Institute by email. Asim Islam is a research fellow in science and religion at Cambridge Muslim College, a part of Cambridge University in Cambridge, England. He studies human consciousness and helped organize a conference on religion, science and consciousness at Cambridge Muslim College. Albert Borgmann is a professor emeritus of philosophy at the University of Montana in Missoula, Mont. Borgmann, who is Catholic, has written about technology and the nature of humanity. Nigel Cameron is president of the Center for Policy on Emerging Technologies in Washington, D.C., as well as leader of the Institute on Biotechnology and the Human Future at Chicago-Kent College of Law. He has presented a TEDx Talk on the implications of a world without human labor. David Gelernter is a professor of computer science at Yale University in New Haven, Conn. where he studies, among other things, artificial intelligence. He is also the author of Judaism: A Way of Being (2009) and can discuss Judaism and artificial intelligence. Subbarao Kambhampati is a professor of computer science and engineering at Arizona State University in Tempe and president of the Association for the Advancement of Artificial Intelligence. He frequently speaks and gives interviews about the implications of AI on human society. One of his lectures on the subject is available on YouTube. Ray Kurzweil is a futurist, inventor, author and expert on artificial intelligence. His most notable books in this area include The Age of Spiritual Machines and The Singularity Is Near: When Humans Transcend Biology. His Kurzweil Network explores “pervasive technologies” like AI. Mark Reidl is an associate professor in the Georgia Tech School of Interactive Computing and director of the Entertainment Intelligence Lab in Atlanta, Ga. His research focuses on human-centered artificial intelligence—the development of artificial intelligence and machine learning technologies that understand and interact with human users in more natural ways. He was part of a panel on artificial intelligence and religion at the 2017 Religion News Association conference. She received a grant from the John Templeton Foundation to study transhumanism and participated in several events on the subject of transhumanism. This source guide is part of a series on science and religion, brought to you with support from the John Templeton Foundation. Any opinions expressed herein do not necessarily reflect the views of the John Templeton Foundation.